Hurdles evaluate the ability of the robot to overcome steps with rounded edges. Moving in one direction are two 50 mm (2 in) steps up and one 100 mm (4 in) step down. 50 mm (2 in) pipes mean that there is no edge to grab onto. 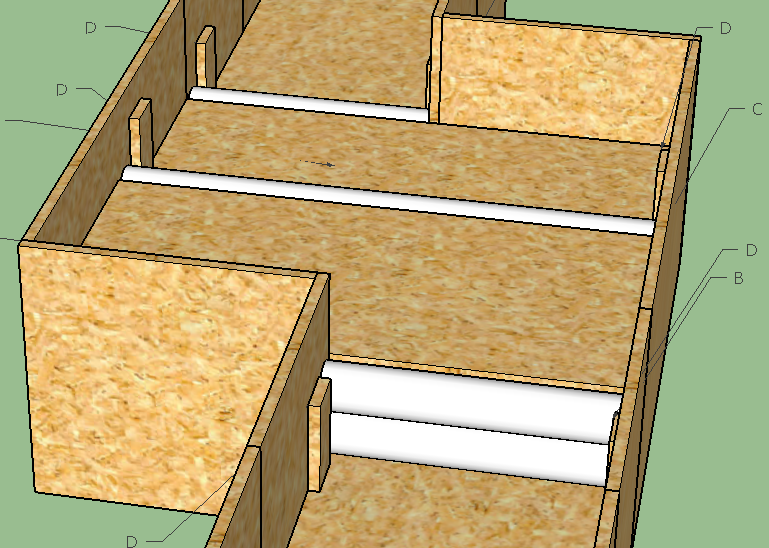 These pipes are free to rotate, captured by strips of OSB attached to the sidewalls. 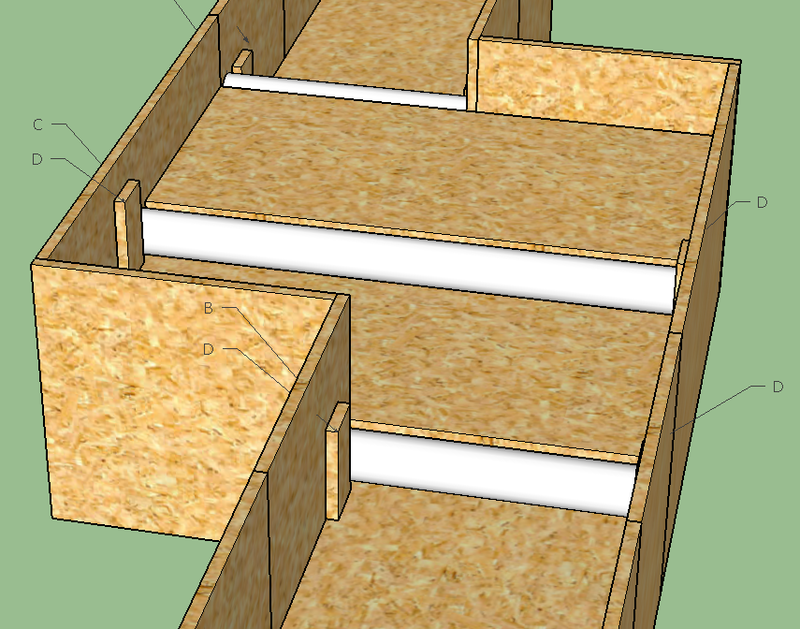 Note that if a different thickness of OSB is used, the number of slices required may change to (approximately) make up 50 mm. 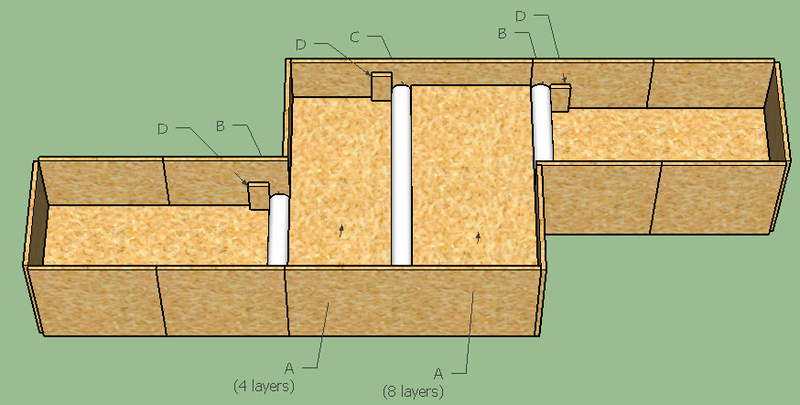 If OSB is difficult to obtain, the steps may instead be constructed as boxes. (A) 12x 15 x 600 x 300 mm (24 x 12 in) OSB sheets. (B) 3x 50 mm (2 in) PVC pipe, 300 mm (12 in) long. (C) 1x 50 mm (2 in) PVC pipe, 600 mm (24 in) long. 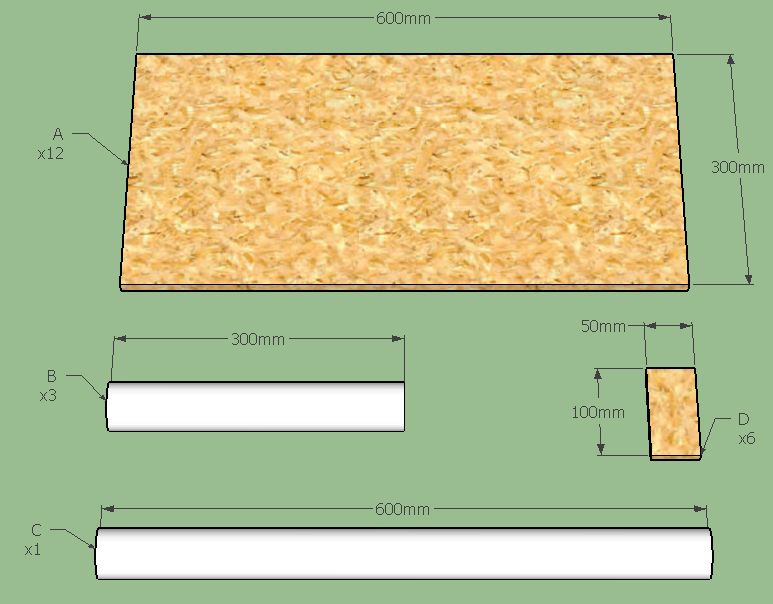 (D) 6x 15 x 100 x 50 mm (4 x 2 in) OSB sheets (approx).